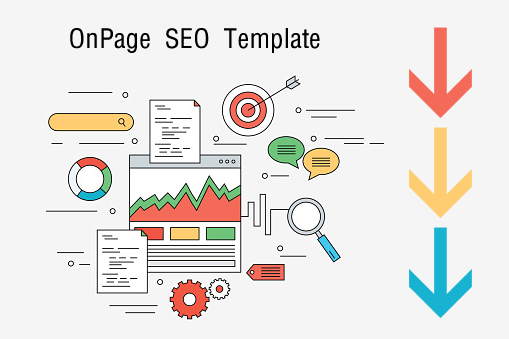 Below you’ll find simple examples of the perfect OnPage SEO Template. If you find yourself curious to learn more, or do not wish to spend countless hours creating your own OnPage SEO Template, contact our SEO Consultant, JL Faverio. Definition of a longtail keyword is a phrase with at least 3 words and is used by SEO Consultants to target a hyperfocused search engine user. The URL structure should match your longtail keyword exactly. Add your longtail keyword to your page meta title, preferably to the far left. Your page meta title is what appears in your web browser at the top, but also as the blue link that appears in Google’s search engine result pages (SERPs). Add the longtail keyword within the first 150 characters of your page meta description. Your page meta description does not appear on your website, but it does appear in Google’s SERPs directly below your page meta title. Add the longtail keyword at the top of your page within an H1 tag. Further down the page, add the same longtail keyword within an H2 tag. 1. Looking for Senior Care in San Rafael? 2. Why I hate the best french restaurant near me! Inserting your longtail keyword within the first 100 words of your page, below your H1 tag, shows prominence and relevancy to both Google and the user searching for your longtail keyword. Users love bullet points since they are easy to read, and Google uses bullet points very often within snippets. Google Snippets are considered more valuable as they appear ABOVE organic search results, also known as position 0 (zero) in SERPs. Video SEO has become huge in 2018 as it adds value and engagement to website visitors. With YouTube being the second largest search engine (also owned by Google) it makes sense to either add an existing YouTube video to your website (with attribution) or upload your own. Adding links from other pages within your website, to your new OnPage SEO template, is called internal linking and will express to Google’s Spiders (search engine web crawlers) that it is an important webpage. Linking your most popular web pages will also increase link juice towards your new page. External links to popular websites is equally important for SEO. If you have a physical location, adding a live Google Map is a great ranking factor for Google and displays credibility to the user. Users demand to see customer reviews nowadays to help them feel comfortable in contacting a business. Adding at least one relevant customer review to your OnPage SEO template, with a link to view more, emphasizes trust to the user. If you have specials or coupons for new customers, you’ll want to add one or more to your page to increase online leads. You should have multiple calls to action on your page, but especially at the bottom, once the user has learned all about your business, product or service. We love hearing from you! Comment below or give us a call at (707) 544-3390. Happy SEO-ing!